Don’t worry, there’s an easy solution …and an easy prevention! Vintage motorcycles can change your life. I mean that quite literally. Building a business immersed in such fabulous machinery has been quite a ride. One of the best aspects? 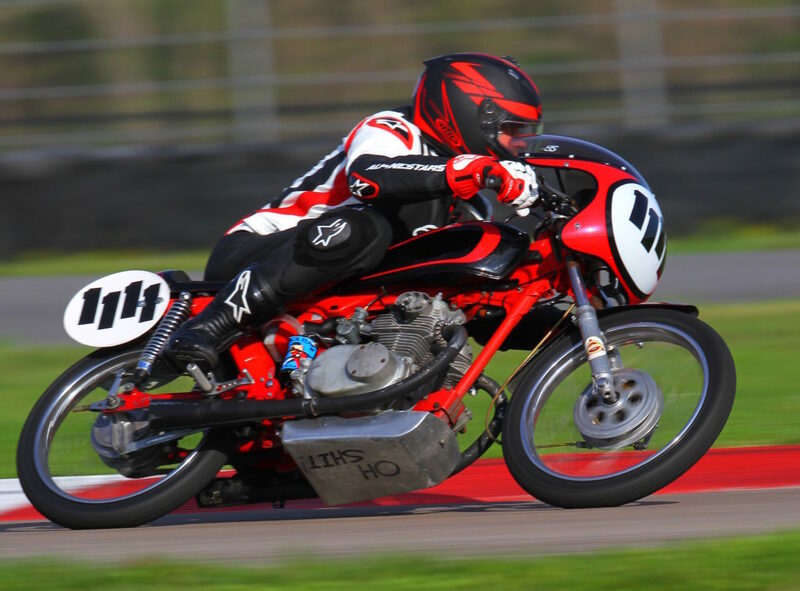 Working with the American Historic Racing Motorcycle Association, AHRMA. 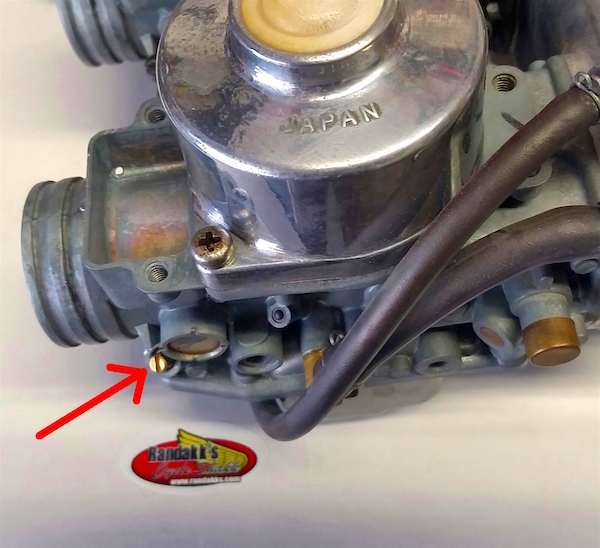 Honda GL1000 Smokes on Initial Startup? 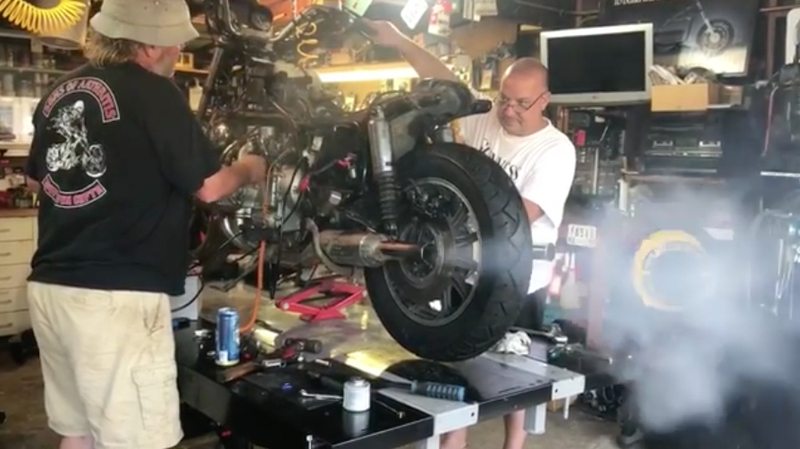 John Winston (aka “Winston”) and team just completed their most productive run ever with the supercharged Honda GL1000 saltracer. 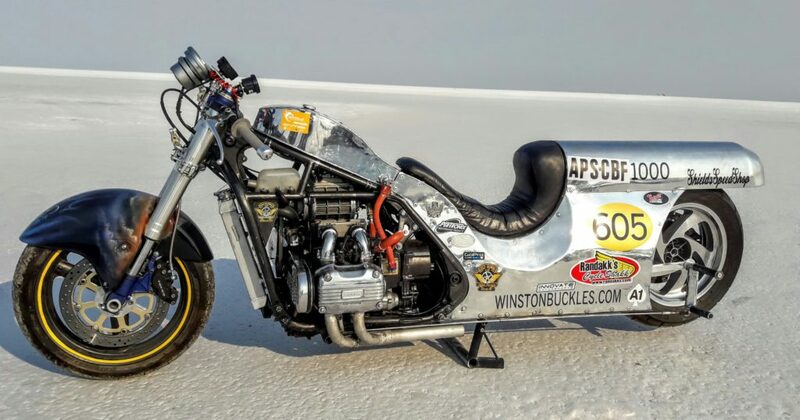 New rider Larry Shields battled numerous gremlins (including a fried clutch) but still managed 136+ mph at Bonneville. Winston and Larry have big plans for next year! I find the factory recommended idle mixture screw setting specs to be very close to ideal. They are listed here for the Honda GL1000. I do usually richen them up an extra 1/8 to 1/4 turn (out) to compensate for the leaner modern “gasoline” which is diluted with ethanol in most US markets. Great news! 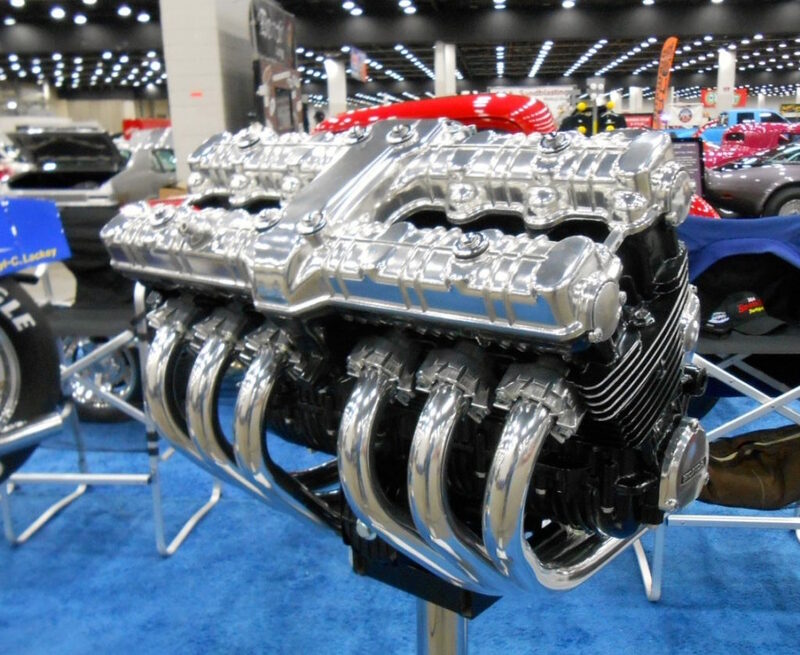 Randakk will personally man a booth at the Detroit Autorama (March 2-4) …as an Ambassador representing our 3 sister companies: Randakk’s Cycle Shakk, Z1Enterprises and Mike’s XS. What is a petcock? 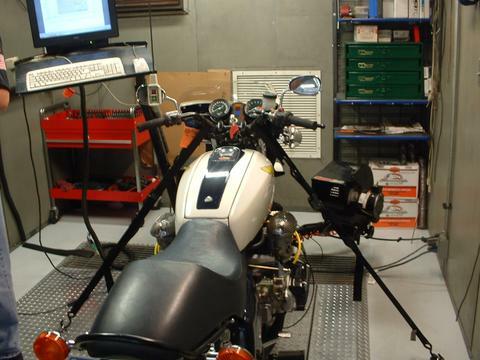 Why is important to vintage motorcycle owners? . Can Proper Petcock Use Prevent This? 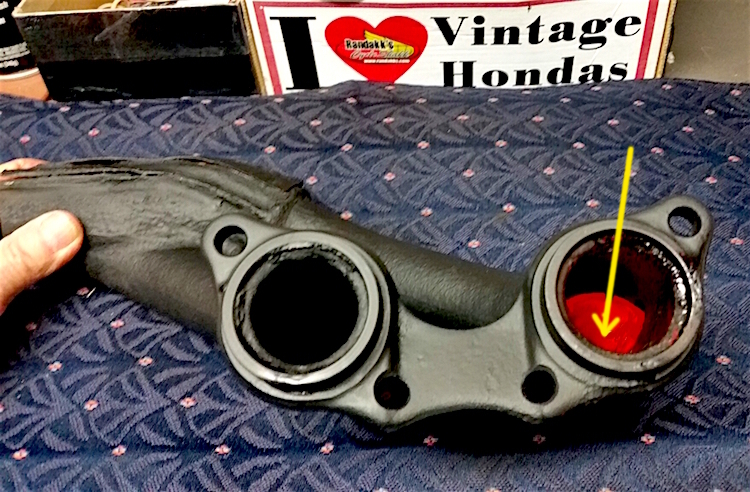 Flooding is a common problem in vintage Hondas – especially on bikes that don’t get run much. Flooding can be just a minor aggravation …like hard starting or poor fuel mileage. 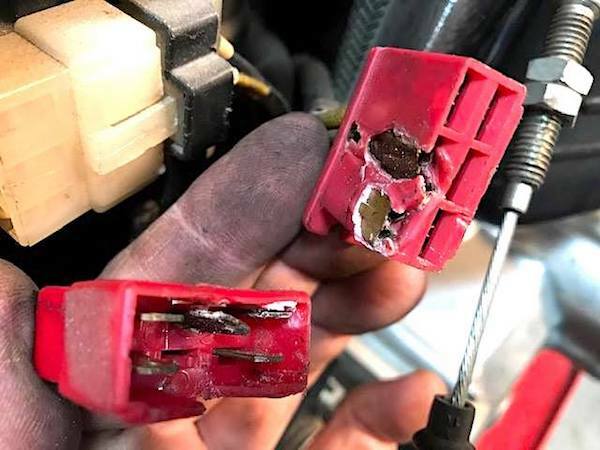 But, it can also lead to catastrophic problems such as severe engine damage or even a fire! Flooding issues should not be ignored! Low Power Issues on Honda GL1000? If you’ve ever ridden a “healthy” GL1000 you will agree that it is a surprisingly fast bike …especially given its vintage. The original design goal by Honda was slanted toward “sport” rather than “touring.” In fact, when GL1000s were new in 1975 – only the mighty Kawasaki Z1 was faster. 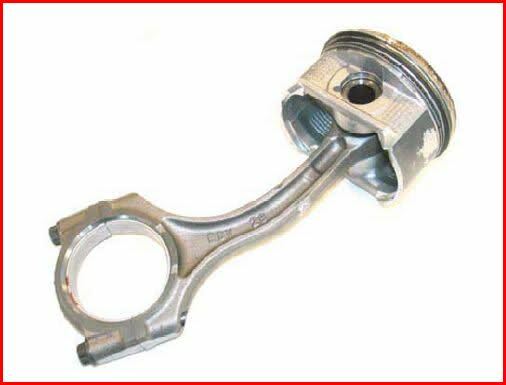 Honda was shy about publishing actual horsepower figures, but the design goal was 80 horsepower at the crank. That’s quite respectable …even today. Internally Collapsed Header on Honda GL1000? © Copyright 2016 Randakks Cycle Shakk. All rights reserved.